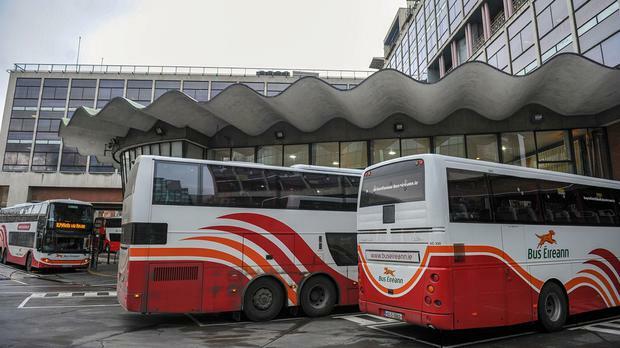 The financial crisis at Bus Eireann may have been worsened by the fact that the company is operating two separate long-distance coach businesses, Expressway and GoBE, which are competing with one another and increasing losses. Bus Eireann's losses hit €8m in 2016, up from €6m in 2015, and do not include government subsidies, which amounted to almost €38m in 2015, the last year for which full figures are available from the company. The Bus Eireann losses are concentrated in its Expressway long-distance coach operation which, according to a spokeswoman, is a commercial division that does not receive any subsidy. A recent report from consultants Grant Thornton warned that Bus Eireann risked becoming insolvent within 18 months unless the Expressway problem was addressed. Grant Thornton recommended that Bus Eireann axe Expressway completely as, in its view, this was the "most viable option". This is despite the fact that pulling the shutters down on Expressway would trigger redundancy costs of almost €24m as against annual cost savings of €6.9m. Bus Eireann sources argue that these huge closure costs mean that restructuring rather than closing Expressway makes more sense. Expressway has been under pressure ever since the 2009 Public Transport Act liberalised bus travel and opened up most routes to private sector competition. The impact of the 2009 Act has been felt particularly strongly on the long-distance routes between the major towns and cities. In 2015, private bus operators carried almost 23 million passengers, according to figures compiled by the National Transport Authority, more than three times the nearly seven million carried by Expressway. In an effort to compete with the private bus operators, Bus Eireann teamed up with GoBus.ie in 2012 to form a joint venture GoBE, which offers non-stop bus services between Dublin Airport, Dublin city centre and Cork, which is by far the busiest long-distance bus route. Unlike Expressway, GoBus services don't make any stops to drop off or pick up passengers along the way. This results in a significant time saving. Whereas the Expressway service between Cork and Dublin takes three hours and 45 minutes, the GoBE service journey time is only three hours. A Bus Eireann spokeswoman said: "GoBE is a joint venture between Bus Eireann and Gobus.ie. "It is a private commercial agreement, the details of which we do not publish, given the competitive nature of the business." On the subject of whether or not GoBE coaches use Bus Eireann facilities, she said: "GoBE buses use Bus Eireann facilities in Cork as part of that commercial agreement". Bus Eireann's competitors believe Expressway would not survive without subvention. "The current losses in the delivery of the Bus Eireann Expressway services are the culmination of the failure of the company and successive governments to take corrective action. "If these services were operated in their present form in the commercial sector without the safety net of state subvention, the company operating them would have been out of business long ago", says Kevin Traynor, the national director of the Coach Transport & Transport Council of Ireland, which represents most of the private bus operators. Gordon Deegan A north Clare farmer today escaped jail after a judge heard that he had complied with a 24 hour ultimatum that all sheep be removed from the farmer’s brother’s land. This was the easiest spring we've ever put down on our farm. If the thought of networking makes your skin crawl, you’re not alone.